Shortly after this photo was taken of our beloved Weet-Weets I decided to turn them Free-Range again. Most everything was growing in pots or containers and was away from those little gnashing teeth. So I set up several little Safe Houses for them and let them go in the chook pen. This did not last very long. Soon they were out and about in the garden. Exploring and following us around as we tended to the garden. Missy Miss is particularly friendly and we had to nurse her at one point due to a rather nasty wound on her rump. She came to say hello as I was tending to the garden the other afternoon and I picked her up. To my amazement the wound could not be found. Not even the hard callous on the skin where the wound was. 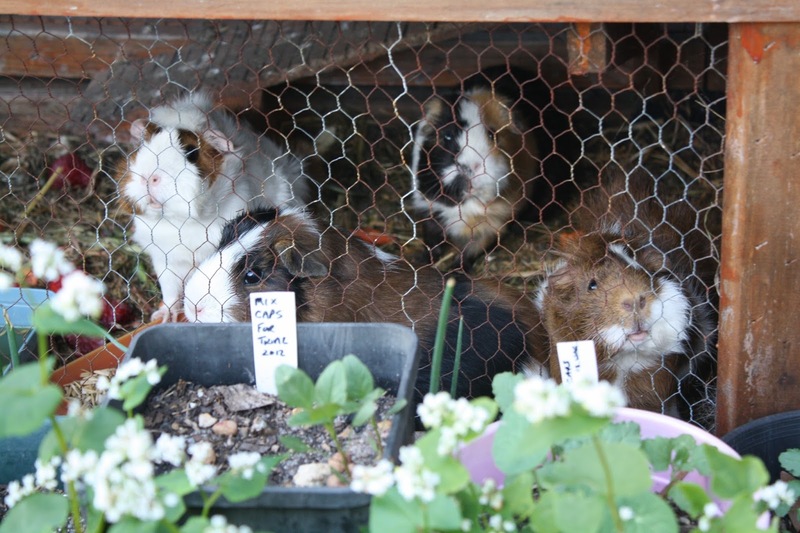 Again my wife and I could only speculate that, as before, with previous guinea pigs, they find it advantageous to roam the garden as they get much more exercise and can eat when and what they like in the quantities they need. It makes for happier Weet-Weets we think.